Aria Social’s focus is to develop the desire and the need to democratize the arts, so that arts can become an accessible instrument of human transformation for a higher number of children and adolescents with low income. Aria was formally institutionalized in 2004, and has gone from working with 50 students, to now over 400, all of whom are developing their potential through workshops and continuing education classes in music, dance, capoeira and percussion. Aria’s Mission is to provide education to vulnerable children and adolescents from low-income communities through art and culture, and to help provide a transformation that is then reflected in their personal, emotional and professional lives. The result is young people with critical, aesthetic and ethical thinking that are better citizens that can then influence society. There are also opportunities for these young people to be trained to become professionals in the area of dance and art and therefore the chance to play an even larger part in society. Over the past six years Aria has managed to get the financial support from some private and public companies – some for longer term, others for shorter. However, despite the variety of support obtained, the only constant is the financial support given by Chesf, a public company. But even with this support, the organization’s fixed costs are over and above the donations received and therefore Aria’s work is not as good as it could be. Other partnerships provide short or sporadic support, often only sponsoring performances (like the costumes, the staff of the theater and taxes, a trip to attend a festival), or giving occasional donations. 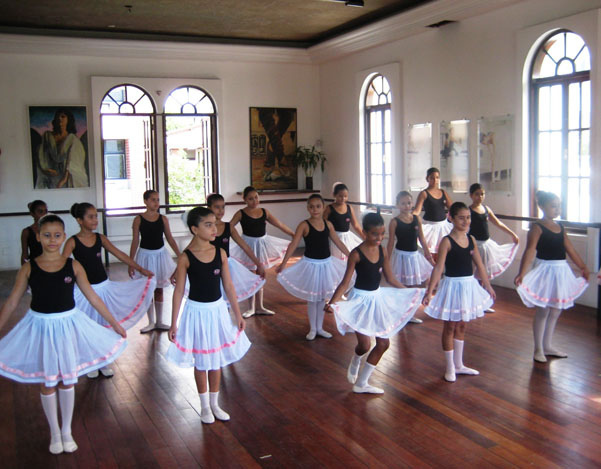 For Aria to expand and intensify their activities, they need greater visibility of their activities and continued support from the business society of Pernambuco. Because Aria Social survives on donations and partnerships, they must expand the number of partners and sponsors of their work, both with financial resources, but also with donations of materials. Therefore, what Aria is looking for is assistance in providing them with better visibility of their work with Pernambuco’s large and small companies, so that more people understand their work, and are then interested in supporting the organization. We need to develop a campaign to make Aria a reference in social educational work with children and adolescents, and therefore help Aria to continue to make a difference. The campaign would aim to get further support from companies to help Aria in the mission to continue offering this fantastic and life changing work.